People who inspire others with their passion leave behind a legacy. Dr. Judith Gravel, an internationally acclaimed authority in pediatric audiology, was one of those people. Each year, the Hear the World Foundation ensures that her valuable work is continued by awarding a fellowship grant to an outstanding student at the University of North Carolina. Dr. Judith Gravel was an inspiration and role model for many people: with her knowledge and commitment. She helped shape the development of pediatric audiology worldwide. After her passing, at the age of 60 in 2008, the Hear the World Foundation joined forces with the Department of Otolaryngology at the University of North Carolina (UNC) in the USA to set up the Judith Gravel Fellowship in her honor. 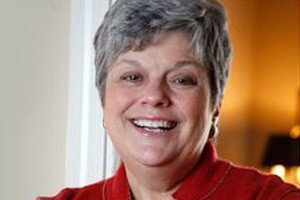 Judith Gravel devoted her whole life to improving advanced education and training in the field of pediatric audiology. She particularly believed in the importance of allowing students to gain experience in clinical practice and encouraging them to work together in interdisciplinary teams. The aim of the Judith Gravel Fellowship is to carry on this mission and enable future generations to benefit from it too. This fellowship, which is awarded annually and comes with a grant of 15,000 US dollars, is designed to support outstanding audiology students in the fourth year of their Doctor of Audiology degree program. Through their active involvement in activities at the UNC Chapel Hill School of Medicine and the UNC Hospital, the fellowship recipients gain extensive insights into dealing with hearing loss in babies and children. In 2015, the Judith Gravel Fellowship program has been presented with the Richard Seewald Award. ”Over the past six years, the Judith Gravel Fellowship at the University of North Carolina has provided a mentored clinical experience to an outstanding graduate student pursuing a career as a pediatric audiologist. The goal of this project has been to create a comprehensive and well-rounded clinical experience that includes both the technical and interpersonal demands of a pediatric audiologist. The 2015 Seewald Award is given to the Department of Audiology at the University of North Carolina Hospitals for developing and implementing a model program for professional capacity building in pediatric audiology”, says Professor Seewald, explaining his choice. The University of North Carolina at Chapel Hill (known as “UNC Chapel Hill” for short) is located in the city of Chapel Hill in the US state of North Carolina. The nation’s first public university, UNC Chapel Hill is a global higher education leader known for innovative teaching, research and public service. Now in its third century, there are over 30,000 students. The Pediatric Audiology program at UNC Hospital, the largest in North Carolina, averages over 13,000 pediatric patient visits per year and follows over 1,500 children with permanent hearing loss. Dr. Seewald was joined by three young patients, who were among the first to benefit from UNC Pediatric Audiology’s implementation of newborn hearing screening. With early identification of their hearing loss, they are a great example of the critical importance of early identification followed by early intervention for children born with permanent hearing loss.